Learn With Locals' contributors who are the amazing and inspiring individuals, teaching and and motivating us. These passionate souls help us find and cultivate our true passions and talents and empower us to live a life full of creativity and meaning. 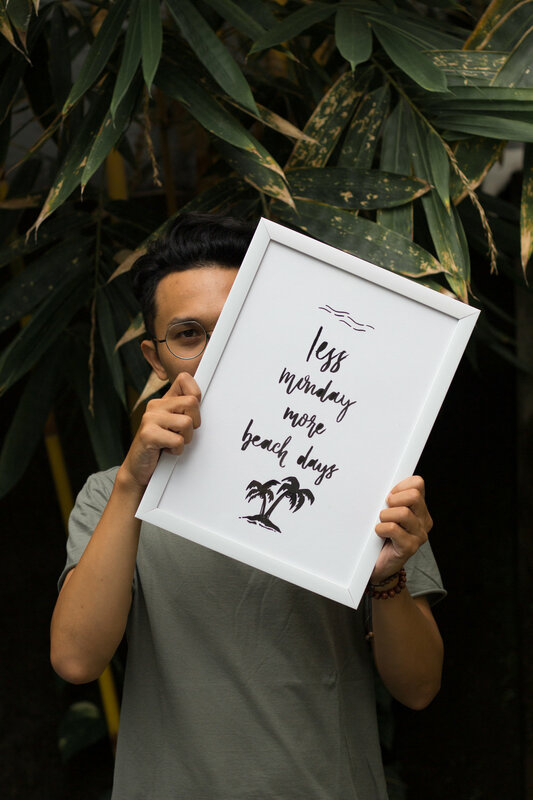 Sasti was born and bred in Jakarta, moved to Bali 5 years ago to come work for a Bali based resort wear clothing line while doing her own handmade intimates label. Sasti picked up her passion for sewing from her mom and after finishing her bachelor degree she enrolled in a fashion school where she tried making different pieces before starting her own handmade intimate lingerie label: Personal by Sasti. Sasti also loves traveling and trying new foods - and she's addicted to washi tapes! See Sasti's work and follow her on Instagram: @by_sasti. Born in East Java 1987, moved to Bali 6 years ago. Worked in hospitality industry for the past 4 years and taught himself hand lettering typography. Has been doing this for about 2 years now. Osh has a dyslexia and typography become much more challenging. Love to play drums and sip affogatos after working hours. Recently got a 6 month puppy - so is now busy at work and at home! Indri is originally from Jakarta but has been a Bali local since 2010. 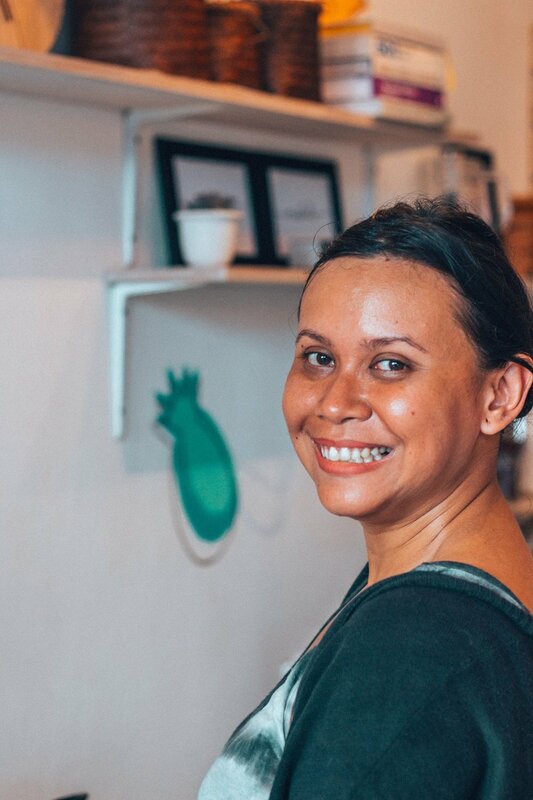 She originally came to Bali for a job offer and she used to work as a project manager for an IT company, but soon found there was no room to grow personally and professionally. So she quit as she had enough of the corporate world and wanted to pursue a simple lifestyle. Indri started The Eco Initiative with her partner about 1 year ago and has been running it and making her own eco-freindly and natural skin care products ever since. "Tresna" means "love" in Balinese which is what has been poured into the building of a dream cooking school run by Adi and Frances. What sets Tresna Bali Cooking School apart from the dozens of cooking schools in Bali, is simply: Frances and Adi - their deep knowledge of traditional Balinese family recipes, their unique approach and warm hospitality. You can learn more about Tresna Bali Cooking School and read reviews here. If you would like to become a contributor and host a Learning Experience - please get in touch! You don't have to be a professional to teach - Passion will do just fine!